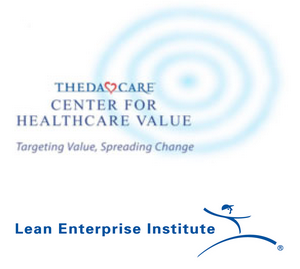 This upcoming week is one of my favorite weeks of the year - the Lean Healthcare Transformation Summit. I’ve been fortunate to attend each year since this annual event started in 2010 and I’m very happy that two of my KaiNexus colleagues, Dr. Greg Jacobson and Jeff Roussel, are going to be able to attend this year. A record attendance of about 650 people are expected at this sold-out conference, being held in our neck of the woods in Addison (Dallas), Texas. Welcome to Texas, y’all! For the most part, attendees come from across North America, representing health systems that are embracing Lean principles and methods in American and Canadian hospitals. There are usually attendees from a few other countries, including a group of 15 to 30 that travels from The Netherlands each year to learn and to share their own experiences and lessons learned. The challenges that we face in improving healthcare delivery are incredibly consistent across our borders, even with different insurance and payment models. We all tend to struggle with the same problems - how to improve patient care while also reducing costs and creating more fulfilling workplaces? Many of the attendees are from organizations that are members of the Healthcare Value Network (and most of the presenters, with the exception of some keynote speakers, come from that Network). There are many internal process improvement facilitators who attend, but there’s also been a trend of executives and senior leaders coming to learn and network. In the first couple years of the Summit, there were just a handful of CEOs and C-level executives in attendance. The attendees and speakers would talk a lot about how to better engage these leaders, as their participation is critically important if we’re going to transform our health systems. Last year, and I’d expect the same this year, there were 25 or 30 hospital CEOs in attendance… so many of them that they had their own track for breakout sessions to talk about how to lead change as an executive. At a conference like this, there are many wonderful networking opportunities. I’ll enjoy seeing familiar faces and catching up with people I already know. I’m excited that Greg and Jeff will get to meet so many people who share their passion for improvement and employee engagement. The value of conferences like this goes far beyond just sitting in a chair listening to presenters on stage (although that’s great too). There are a number of optional pre-Summit workshops on Monday and Tuesday, including the one I’m teaching Tuesday on daily continuous improvement (or “kaizen”) in healthcare. During the main days of the Summit on Wednesday and Thursday, there will many many breakout sessions where members of the Healthcare Value Network will teach and share lessons learned -- how are they accomplishing those three goals of the ThedaCare Center? There will also be keynote speakers, including Dr. Toussaint, Jim Womack (founder of the Lean Enterprise Institute), and Michael Erikson (COO at the Palo Alto Medical Foundation), on the main stage to share wise and inspiring words. If you’re going to be there at the Summit, please say hi! If you missed the chance to register, maybe we’ll see you at the 2016 event next June. P.S. Can't make it at this day and time? Register anyway, and we'll send you a recording of the webinar and slides afterward.